with an estimated population of over two hundred million people. The capital city of Nigeria is called Abuja. There are over 500 diffferent languages spoken in Nigeria,however English language is the country’s official language. The major ethnic groups in Nigeria are the Igbo,the Hausa and the Yoruba. These groups are classified as the major groups because of their numbers and the strategic states that they occupy in Nigeria. 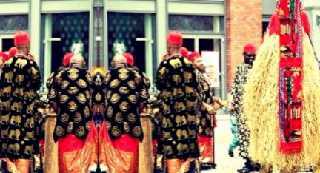 The Igbo's live and thrive in the south eastern part of Nigeria,the Yoruba's inhabit the south south region of Nigeria while the Hausa's/Fulani occupy the nothern part of Nigeria. There are 250 official ethnic groups in Nigeria,Hausa and Fulani make up about 29%,the Yoruba 21% and Igbo (Ibo) 18%. However the number of ethnic groups in Nigeria could be more than 370 because Nigeria is a very diverse country. This post contain the full list of all the ethnic groups and tribes in Nigeria and the states where they can be found in Nigeria. 117. Fulani = Bauchi State, Borno State,Jigawa etc.